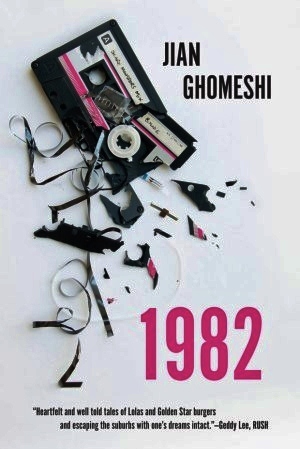 1982 by Jian Ghomeshi ~ 2012. This edition: Viking, 2012. Hardcover. ISBN: 978-0-670-06648-3. 284 pages. Love the radio show, and you’re a great interviewer, but as far as authoring memoirs goes, well, don’t quit the day job. Here’s the promotional material that had me all keen to read this memoir by star CBC Radio host Jian Ghomeshi. In 1982 the Commodore 64 computer was introduced, Ronald Reagan survived being shot, the Falkland War started and ended, Michael Jackson released Thriller, Canada repatriated its Constitution, and the first compact disc was sold in Germany. And that’s not all. In 1982 I blossomed from a naive fourteen-year-old trying to fit in with the cool kids to something much more: a naive eyeliner-wearing, fifteen-year-old trying to fit in with the cool kids. So writes Jian Ghomeshi in this, his first book, 1982. It is a memoir told across intertwined stories of the songs and musical moments that changed his life. Obsessed with David Bowie (“I wanted to be Bowie,” he recalls), the adolescent Ghomeshi embarks on a Nick Hornbyesque journey to make music the centre of his life. Acceptance meant being cool, and being cool meant being Bowie. And being Bowie meant pointy black boots, eyeliner, and hair gel. Add to that the essential all-black wardrobe and you have two very confused Iranian parents, busy themselves with gaining acceptance in Canada against the backdrop of the revolution in Iran. 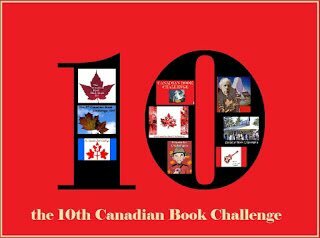 It is a bittersweet, heartfelt book that recalls awkward moments such as Ghomeshi’s performance as the “Ivory” in a school production of Michael Jackson and Paul McCartney’s Ebony and Ivory; a stakeout where Rush was rehearsing for its world tour; and a memorable day at the Police picnic of 1982. 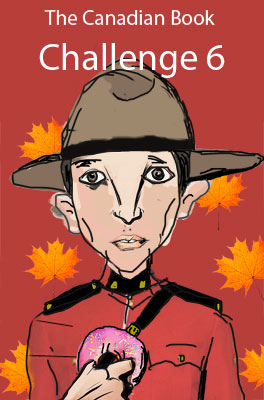 Music is the jumping-off place for Ghomeshi to discuss young love, young heartache, conformity, and the nature of cool. At the same time, 1982 is an entertaining cultural history of a crazy era of glam, glitter, and gender-bending fads and fashions. And it is definitely the first rock memoir by a Persian-Canadian new waver. What’s wrong with it, you ask? And it wasn’t that Jian didn’t have an interesting teenage life. He did, in a tame sort of middle-class, upwardly mobile, successful immigrant family sort of way. In 1982, the year more or less profiled in this “creative autobiography”, Jian turned fifteen. He was in the throes of young love, was hanging out with a bunch of good friends, and was playing drums in a band – okay, it was the community band, but still… He was listening to all sorts of cool new music, had reinvented himself as a New Wave wannabe, and was having quite a time experimenting with hair dye and styling gel and eyeliner and dressing all in black. He had a loving and supportive family, abundant parental funding, and oodles of positive reinforcement from his teachers and the other adults in his life. He did stuff. He went places. He got into a few interesting situations, and made it through them in one piece. Easily enough stuff to write a memoir about. A short memoir. A novella-length memoir. Not the almost-300 page thing that I have just gratefully slapped shut. Jian ran every single little incident of that year completely to death. And though it was interesting in bits here and there, ultimately I just couldn’t care. Small sample of the prose to follow. I will sacrifice a chunk of my evening and type this out, so you can read a bit and perhaps save yourself the heartbreak of discovering the banality that dwells within the covers of this book. Or, on the other hand, maybe you’ll love it, and wonder why I’m moaning on about the boringness of 1982. The book, that is. Not the year. Because, that would be, like, really tragic. If you like this kind of thing. And then didn’t read it. Because I was, like, panning it. Really badly. For some reason. Yeah. Oh. No. It is catching. The prose style. You will see what I mean. In a minute. Uh huh. Okay. Here’s Jian, describing his teenage Ontario home. Or sprinklers. Or middle-aged men. Or all three. Thornhill was the quintessential suburb. I’ve never lived in any other suburb, but I imagine they all look like Thornhill, with people who act like they did in Thornhill. It was the kind of place where men watch sprinklers on their lawns. Have you ever noticed that men like to watch sprinklers? They do. Or at least, they did. But I think they probably still do. This goes on, the sprinkler watching monologue, for three pages. It includes a list. There are a lot of lists in this book. Many more lists than there were types of sprinklers in Thornhill in 1982. And reading the lists are about as exciting as standing at the bottom of the lawn watching the grass get wet. Okay, I guess you’ve twigged that I’m pretty underwhelmed by Jian’s little personal saga. To be fair, it did have a certain time-travel charm; a certain nostalgia factor for those of us who shared that time on the planet with Jian. Yes, we remember Commodore 64s, and rotary dial phones and twisty phone cords, and some of the more intelligible words from the major AC/DC songs. We remember Boy George, and, yes, definitely David Bowie. But we now know, those of us who’ve read your teen years – oops, year – opus, way too much about what went on in your head, way back during the time span of your fifteenth trip round the sun. But I can’t imagine anyone younger than, say, thirty-five or forty or thereabouts finding it remotely interesting. Anyone else read this one? Am I completely out of touch? Is is deeply cool and ironic? Or just deeply boring? I do forgive you, Jian. Just don’t do it again. 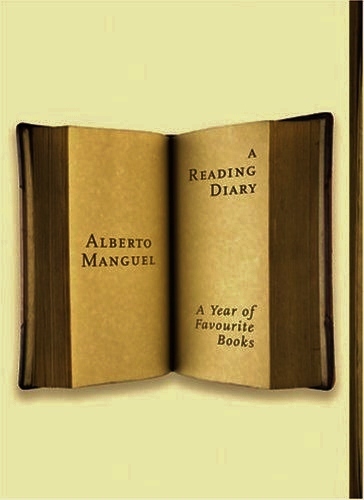 A Reading Diary: A Year of Favourite Books by Alberto Manguel ~ 2004. This edition: Knopf, 2004. Hardcover. ISBN: 0-676-97590-9. 253 pages. My rating: After a certain amount of consideration, 7.5/10. Now this is a book about books which I would be happy to have on the keeper shelf. It caught my eye during a library browse, and, after standing in the aisle and reading most of the entry regarding Kipling’s Kim, I decided it was worth an even deeper investigation. I was not disappointed. Alberto Manguel is an Argentine-born writer, anthologist, editor, and translator. He spent his early years in Israel, where his father served as the Argentine ambassador, then back to Argentina, and, once his schooling was completed, working and living in England, France and Tahiti. He moved to Canada in 1982, eventually acquiring Canadian citizenship, though he continues to travel widely, and also maintains a home in rural France. A Reading Diary is a vanity project of sorts, but a worthwhile one. It consists of the jottings kept over the course of a year as Manguel rereads some of his most treasured books. What has resulted is a book rich with references both everyday and arcane, from the note that the cat is nestled in a towel-lined box looking out at the rain, to the mention of the death of a friend and a reflection on the transience of all things dear to us, to the sombre discussion of the tragedy of the World Trade Centre destruction only a few years earlier, and the subsequent war in Iraq, to warm memories of golden childhood hours spent reading some of the same books that feature in this Diary. Having only read a few of the books on the list – The Island of Dr. Moreau, Kim, The Sign of Four, The Wind in the Willows, and Don Quixote – I wondered if I would be completely lost trying to read the chapters concerning the ones new to me, several of which I had never heard of before. As it turned out, this was not at all the case. A Reading Diary is not about the books as much as it is about the thoughts and connections they trigger. Manguel has such a broad experience and so much to say that everything he comes up with is fascinating even though one strains to fit it into the context of a book one hasn’t read. Open this book up anywhere at random and perfectly crafted snippets of prose rise from the page. Here are some completely random samples. Perhaps, in order for a book to attract us, it must establish between our experience and that of the fiction – between the two imaginations, ours and that on the page – a link of coincidences. A brilliant touch: the woman who stains Kim’s skin to darken his colour “for protection” in the great Game (thereby changing his outer identity) is blind. Contentment requires a certain lack of curiousity. I feel uncomfortable having other people’s books at home. I want either to steal them or to return them immediately. There is something of the visitor who outstays his welcome in borrowed books. Reading them and knowing that they don’t belong to me gives me the feeling of something unfinished, half-enjoyed. This is also true of library books. Brilliant sunshine, crisp cold. My neighbour comes over with a gift of fresh eggs and stays for twenty minutes discussing the conflict in Iraq. How strange for an Iraqi farmer half a world away, if he were to know that his fate is the subject of conversation here, in a small, almost invisible French village. My only disappointment, and the reason the book lost a few points with me, is the degree to which Alberto Manguel magnificently name-drops and occasionally pontificates on how dismally uneducated the hoi polloi is compared to him and his intellectually elite cronies. As he makes little effort to pander to those of a less broad experience, I think he might also have left out the occasional thinly veiled sneering. The book will ultimately find its own audience, though its readers may not all be quite what Manguel expects. I must admit my own feelings were bruised by a comment (which I did not bookmark and now, quickly browsing, cannot find) regarding the ignorance of those who only read in English. That would certainly be me, and how many others? This one complaint aside, A Reading Diary is a fascinating glimpse into the mind of a deeply intellectual book lover, and a prolific and eclectic writer and reader. 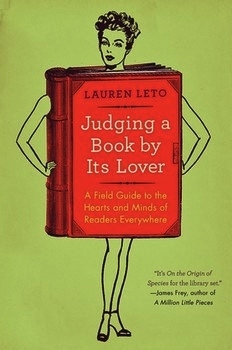 Judging a Book by Its Lover: A Field Guide to the Hearts and Minds of Readers Everywhere by Lauren Leto ~ 2012. This edition: Harper, 2012. Softcover. ISBN: 978-0-06-207014-2. 269 pages. Quick verdict: Glad I didn’t buy this. Mildly diverting, but not a keeper. I was going to condemn this novelty project by calling it pure fluff or something equally dismissive, but fellow-reader compassion for the author, an undoubted book lover, stays my hand. I’m mostly just glad I got this one from the library. It was mildly humorous in a pleasantly snarky way and I did frequently smile. Some sweetly tart anecdotes about a childhood of reading and a gentle ode to her book-loving grandparents enriched the whole. I easily made it to the end, though I tuned out some at the mention of and rants about authors I’d never even heard of. Who the heck is Susan Wiggs? Chuck Klosterman? Augusten Burroughs? Want to impress the hot stranger at the bar who asks for your take on Infinite Jest? Dying to shut up the blowhard in front of you who’s pontificating on Cormac McCarthy’s “recurring road narratives”? Having difficulty keeping Francine Prose and Annie Proulx straight? For all those overwhelmed readers who need to get a firm grip on the relentless onslaught of must-read books to stay on top of the inevitable conversations that swirl around them, Lauren Leto’s Judging a Book by Its Lover is manna from literary heaven! A hilarious send-up of–and inspired homage to–the passionate and peculiar world of book culture, this guide to literary debate leaves no reader or author unscathed, at once adoring and skewering everyone from Jonathan Franzen to Ayn Rand to Dostoyevsky and the people who read them. Not a particularly broad field of authors covered within, I found, but the author did her best with her limited years of reading experience, for she’s a youngish bright young thing – I quickly googled her and found a reference to her being twenty-four in 2010 – and obviously feels most at home among the American bestseller and college reading list standards. And that’s all the time I’m going to spend on this one. Should be in abundant supply in the used book stores in the next year or two, as all of the readers who’ve received this for Christmas of 2012 purge their shelves. L.M. Montgomery by Jane Urquhart ~ 2009. 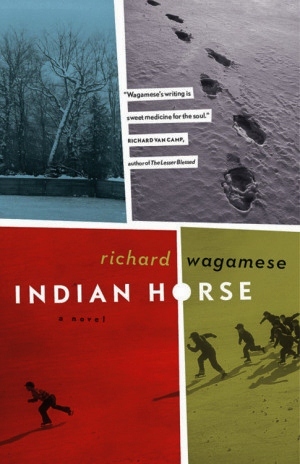 This edition: Penguin Canada, 2009. Hardcover. ISBN: 978-0-670-06675-9. 161 pages. A slender little biography which hits most of the high points of L.M. Montgomery’s life and career. 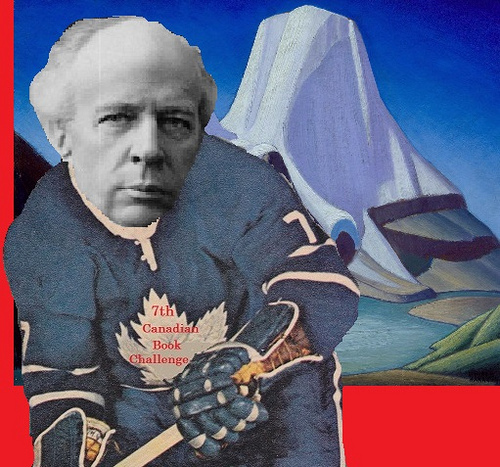 Perhaps better as an overview or an introduction versus a definitive exploration of this Canadian literary figure. A good addition to the many works about this iconic writer. Already familiar with the story of Montgomery’s life, I must say that the most interesting bits, to me, were where the author (Urquhart) writes about Montgomery’s influence on her own development as a writer. Even if you have read other L.M. Montgomery biographies, Urquhart’s covers the same material in a very readable way, with a dash of creative flair. In the green master bedroom of a mock-Tudor house in the west end of the grey city of Toronto, a woman in late middle age lies dying, her pale arms almost as white as the sheet on which they are resting. It is April 24, 1942. Her failing body seems to her increasingly heavy, as if pulled by a great weight deeper and deeper into the flesh of the mattress. Outside, the air itself is weighted, saturated with the moisture of seasonal rain. Seeping into the room is the faintly discernible sound of the swollen river as it follows the path of the Humber Valley. The trees beyond the leaded windows have only just begun to show signs of spring. The author almost lost me with her opening paragraphs. 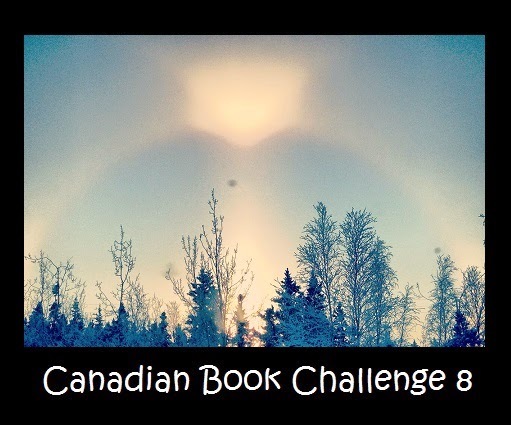 Urquhart’s biography of Lucy Maud Montgomery had received high praise when it was released several years ago as part of Penguin Canada’s 18-volume Extraordinary Canadians series, but this decidedly fictional opening shook me. Was this merely another “creative biography”? How on earth could Jane Urquhart have known any of these details, unless there somewhere exists a hyper-accurate account of Montgomery’s deathbed? There are no footnotes or references provided to suggest that this is the case. The account of the expiration of Montgomery, and of her thoughts as she lies dying – the scene goes on for 9 pages – is purely speculative. Beautifully written, of course – it is Urquhart – but fiction. Though the deathbed passages were pure fabrication, things improved considerably a bit further in. Though she never completely abandoned her occasional creative interpretations of Montgomery’s inner thoughts, those references became increasingly more plausible as Urquhart tells us of her reading of Montgomery’s diaries; we can more easily believe that the actual voice of Montgomery influenced Urquhart. As I continued reading the biography, I appreciated the difficult task the author of it had taken on, to sort out the facts from the fictions of the life of this complicated, deeply troubled, rather tragically fated woman. Urquhart cites Montgomery’s loss of her mother as a toddler, her cheerless upbringing by stoic grandparents, a dismal marriage to mentally disturbed husband, and beloved but disappointing children as reasons for her (Montgomery’s) continual efforts at reinvention of her own self through her personal writing. 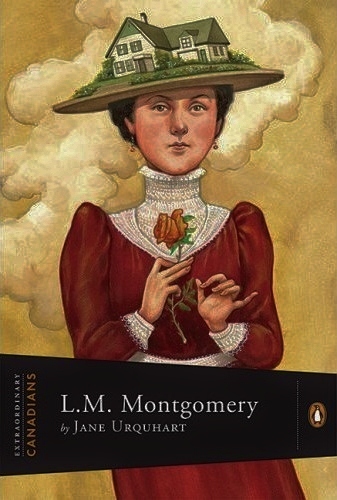 Montgomery’s diaries are known to have been continually edited and rewritten by the author as she progressed through her own life, which, though by no means devoid of joyful occurrences, close friends, and other good things, was so much less rosy than the fictional lives she created for her heroines. Urquhart is a positively biassed – if occasionally “creative” – biographer in that she obviously admires her subject, and sympathizes with her, and seeks to understand what made her tick. In spite of countless romantic references to moonlight and starlight in her fiction, and to rooms warmly lit by lamplight and by candlelight, it was shadow, not radiance, that most often claimed her once the sun had set. Her seeming addiction to detailing sunsets and twilights in her writing, if it sprang from anything at all beyond a poetic convention, may have come from a desire to hold on to the fading light. After the sunset came total, wide-awake darkness. After my shaky initial start, I settled comfortably into reading the book, mentally sorting out the plums of fact from the lovely fictional bits and the author’s very interesting personal anecdotes. It was an enjoyable combination, but I would hesitate to rely on it as my only source of information on L.M. Montgomery’s life. It seems that Urquhart frequently assumes that the reader is already familiar with Montgomery’s body of work beyond the iconic Anne of Green Gables and its array of sequels; it assumes we are familiar with the era and the atmosphere in which the author lived and worked. Keeping all of these things in mind, I would cheerfully recommend the book for those curious about L.M. Montgomery, and where she was “coming from” when she was crafting her overwhelmingly optimistic stories and novels. Montgomery’s truth, it turns out, is much darker and more compelling than her many fictions. Two-Part Inventions by Lynne Sharon Schwartz ~ 2012. This edition: Counterpoint, 2012. Hardcover. ISBN: 978-1-61902-015-3. 277 pages. An interesting book. Deeply engaging, though just a bit cold and clinical in style, to match, perhaps, the deeply bottled up hangups of the main protagonists, pianist Suzanne Markon and her recording engineer husband, Phillip. The title is indicative of the contents, in numerous ways. As those of you who’ve been following my postings will already know, I’m presently very actively involved with preparing for our annual Regional Performing Arts Festival, which starts in early March. And though I didn’t mindfully consider the performing arts theme when I picked up this book, it was perhaps a Freudian impulse which prompted my plucking it from the display rack of New Releases at my last library visit. That, and my remembrance of hearing good things about the book and the author. My impulse was rewarded; I’m glad I read the book, both because it was an engaging if rather sombre literary diversion from my mind-boggling pile of Festival paperwork, and because it has introduced me to an author I’d like to spend some more time with. I’ve promised myself some personal catch-up time this morning to complete several blog reviews which have been simmering on the back burner, as it were, so I’m going to try to keep things short and to the point, especially in the case of those books which are recent and not at all obscure. The internet abounds with reviews for these books already, many of them so well-written that I am adding little to the conversation that is already taking place. The high piercing wail reached him even before he got to the front door. so jarring that he dropped his keys on the flagstones. The wail sounded like a small creature being tortured, a bird, maybe. A demented form of birdsong. But there was no pause for breath or change in tone, no hint of sputtering life. The shriek kept up at that bizarrely high pitch, the far end of the keyboard, while he fumbled at the door and finally rushed inside, dropping his briefcase and laptop on the shelf in the front hall. Where was she? It couldn’t be Suzanne. It wasn’t a human sound. He followed it through the living room, past the grand piano with open sheets of music – Bartók, Poulenc, Stravinsky, he registered automatically – and into the kitchen, where billows of steam seethed and rose in clumps from the red teapot, already forming cloudy patches on the tiles behind it. He tripped over her body, stretched out flat on the floor, on her back. She looked like a ballerina who falls back in a firm, elegant line, confident that her cavalier will be there to break her fall and propel her on to her next step. But no one had been there to catch her. Before he knelt to see if Suzanne was still breathing, he stepped over her to turn off the flame under the screeching pot. But Suzanne is not breathing. As her husband Phillip discovers in the next few moments, she is, though still warm – as Phillip discovers as he caresses her hands and face – finally, irretrievably dead. The story that follows is the dual portrait of two ambitious and talented people, yoked together in a relationship that transcends mere marriage. Suzanne and Phillip are both damaged souls who find a certain respite in each other’s company since their first meeting in high school. Their love is certainly passionate, at least at first, but a longer acquaintance reveals the core of ice in the heart of each, which ultimately will determine their twinned fates. Suzanne has been a brilliant pianist since an early age, something of a child prodigy. After a chance encounter with an eccentric neighbour leads to a musical mentorship and a stint at Juilliard, it seems that the concert hall is Suzanne’s undoubted destination. She suffers, however, from crippling stage fright, which worsens with every succeeding engagement, to her bitter dismay. For though she loves her music for itself, for the deep emotional need it fulfills in her life, what she desires even more is the adulation of an audience, the continual reassurance that she is indeed a worthy person, that she is “real”. Phillip, musically gifted though not to the degree that Suzanne is, has built himself a succesful career in the recording industry, and from the first is Suzanne’s most passionate promoter. He sees his wife’s true talent, and has lofty ambitions for her performing career. As she chokes on performance after performance, and as word of her inability to pull off a concert hall quality presentation spreads, her choice of venues narrows to the most prosaic, to her deep inner shame, and to Phillip’s obvious despair. Soon Suzanne has given up completely, and has slid into a passive acceptance of her failure. She becomes reclusive, spending her days watching television while Phillip is at work, and preparing elaborate meals for him as she seeks to fulfill her creativity by concentrating on cooking. She still practices daily, and teaches a few students, but she refuses to perform for an audience. And now she has a legitimate excuse; she is pregnant. But even in this Suzanne and Phillip are about to face a heartbreaking disappointment. The pregnancy ends in a miscarriage and in Suzanne’s inability to conceive again. She drifts even further into her introspectively passive state of acceptance. Phillip is bemused and disappointed, but his own career is steadily becoming more successful; he now owns a recording studio, and is turning out highly regarding classical music CDS. His performers are thrilled with how their work sounds in the recorded form, Better, in fact, than they thought it would while they were playing. There is so much more going on in this novel than I’ve included above. We have an intriguing love triangle (or two), a tragic childhood accident which allows the character in question (Phillip) to justify his questionable moral behaviour, complicated family relationships and deeply complex friendships, and an endless array of intensely focussed (and sometimes slightly warped) creatively gifted people pursuing their various deeply personal goals. The success that Phillip eventually engineers for Suzanne was inspired by, as the author discusses in her Author’s Note, by the real life example of pianist Joyce Hatto, whose sudden blaze of glory via stunning recordings of “her” works were found to be highly engineered by her husband. 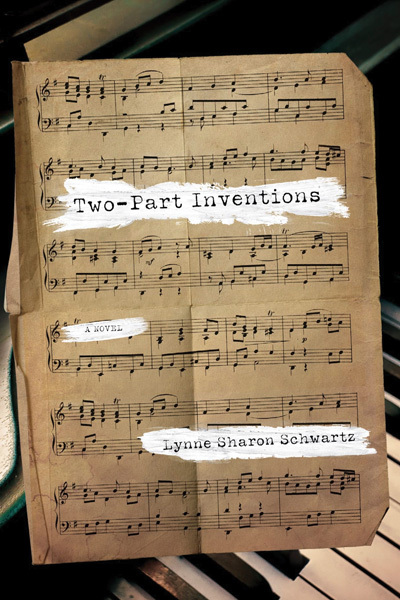 Two-Part Inventions begins when Suzanne, a widely-admired pianist, dies suddenly of a stroke. In the midst of his grief, her record-producer husband, Phillip, becomes deeply agitated: Suzanne’s reputation is based on a fraud which is about to be exposed in the classical music world. Phillip has built a career for his wife by altering her CDs using portions from recordings of other pianists. Syncing the alterations seamlessly, he has created a wide repertoire of flawless music with Suzanne getting sole credit. In this psychological novel set in New York City, (the) author … guides the reader through a flawed marriage and calculated career. Beginning with Suzanne’s death and moving backwards in time, Schwartz examines Suzanne’s early years as a musical prodigy, her education at Juilliard, her life with Phillip and her unusual career, while contemplating the nature of truth, marriage, and the inner demon of thwarted ambition. A sombre psychological novel describes this one well. There were occasional flat spots, though definitely not enough to mar the narrative. The overall tone, in my opinion, stylistically fits its characters quite perfectly. People to See: Go Visit Steve! It’s lucky for such searching readers (or maybe it’s because of them?) that bookworms like nothing more than the making of lists. Books Read. Books To Be Read. Favorite Books in All Categories. Runners Up. Such lists have featured prominently here on Stevereads all these years, and they’re everywhere else too – it’s understandable, really, since the profusion of books out there makes every winnowing-device feel like a godsend. One of my own posts hopefully will appear soon. Still totally immersed in my other project, but I get something of a breather in a few days as I’m turning off the home computer, locking my office door on the seething tides of paperwork within, and heading to the Coast (if the Fraser Canyon road is open – keeping fingers crossed against snowstorms, avalanches and rock slides) for a day or two of being a dance mom. Which means, ultimately, after my chauffeur and audience obligations are discharged, a relaxing evening or two in a hotel room, hanging out with one of my favourite people, to rest and read or perhaps to type out a review or two.